For 2012, Acura raises the base price of the TSX sedan and wagon by only $200 and also adds a new Special Edition trim. Acura has just revealed that the 2012 TSX sedan and sport wagon models will cost buyers $200 more than last year&apos;s models. In addition, the Japanese automaker has also released information on the new TSX Special Edition model. The base TSX sedan begins at $29,810, not counting the destination charge, which bumps the overall price past the $30k range. The TSX sport wagon starts at $31,160. Pricing for the Acura Special Edition begins at $30,810, which is only $1k more than the base TSX. So what does the Special Edition bring? 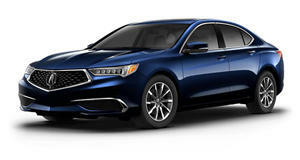 Acura says it has some enhanced exterior styling, specifically an updated front spoiler, side sills, rear fascia, and 17-inch five-spoke aluminum wheels. The interior features aluminum pedals, seats with perforated black suede inserts and red backing. There&apos;s also unique red stitching highlights throughout, and there&apos;s a black headliner that replaces the standard grey one. The SE is available with either a six-speed manual or a SportShift five-speed auto slushbox. The Special Edition is being targeted towards younger buyers who may not normally opt for an Acura. Although the TSX is often overlooked by many, it is currently the best-looking sedan in the Acura lineup. Sold as the Honda Accord in Europe, the TSX also provides many enthusiasts with that rare option nowadays: a decently powered sport wagon variant.